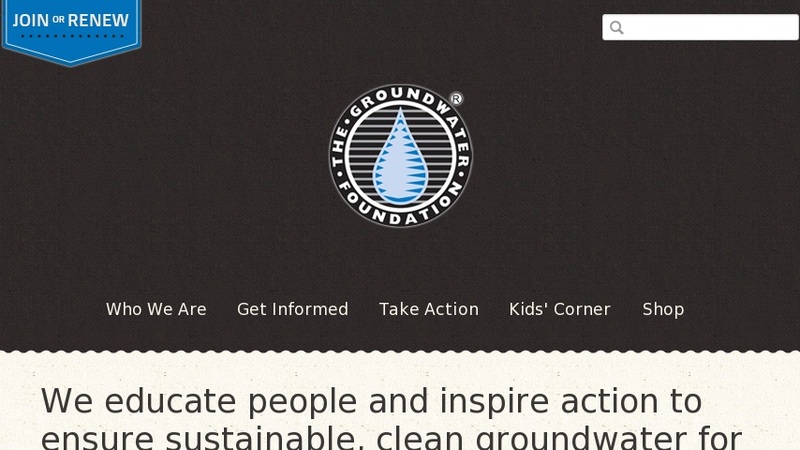 The Groundwater Foundation is a non-profit organization dedicated to educating and motivating people to care for and about groundwater. The section Groundwater Basics contains numerous information on groundwater issues, including the following subjects: what is groundwater; how much do we depend on groundwater; groundwater protection, hydrologic cycle, contamination and concerns, sources of groundwater contamination, wells and how they work, ten ways to help conserve and protect groundwater, groundwater ABCs - a glossary of groundwater-related terminology, and source water assessment and protection guide and training materials. Also of interest are kids and youth sections with activities and games, as well as a listing of the foundation's publications and events.